This striking display of white avalanche roses, oriental lilies, purple lisianthus and fresh blooms create a thoroughly modern gift suitable for the most stylish individual. Perfect Purple is hand delivered and arranged by our skilled florists. 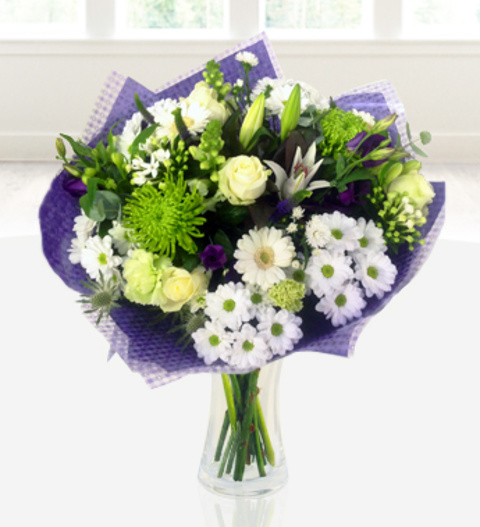 The arrangement is available for UK same day delivery when ordered before 3pm.